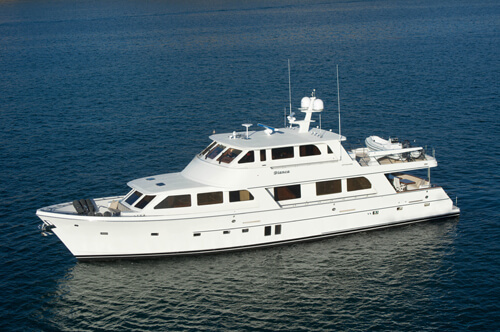 No Buoys unique configuration provides a skylounge on the upper deck aft of the wheelhouse. 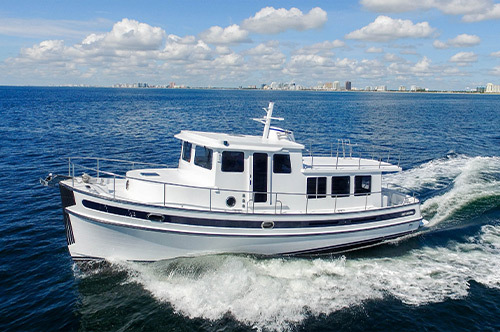 She is extremely well equipped with many custom features and powered by dependable Caterpillar 3416 diesels with less than 1000 hours. 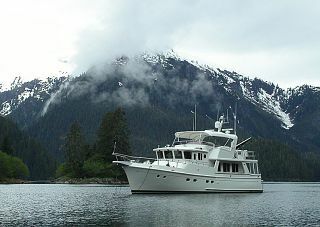 She has been cruised primarily in freshwater and stored each winter in a covered heated facility. 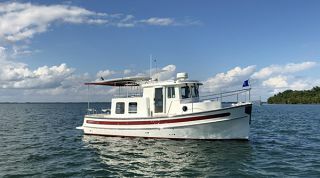 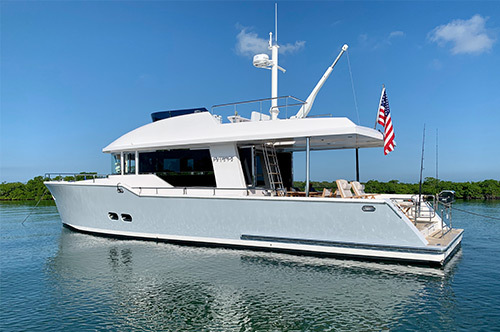 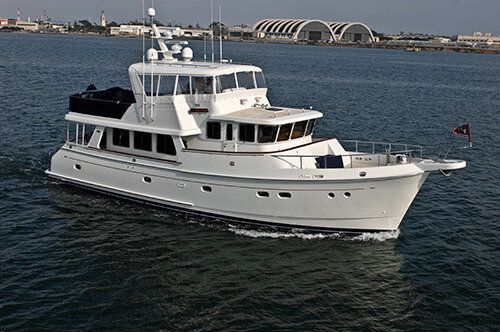 No Buoys provides the accommodations of a much larger vessel and has an aft deck of a 100 footer. 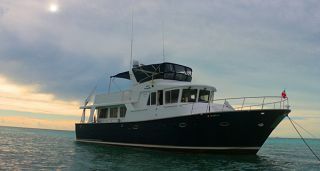 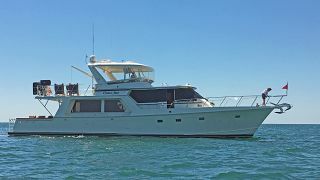 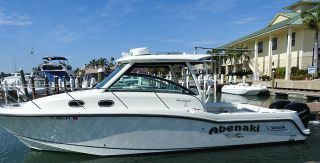 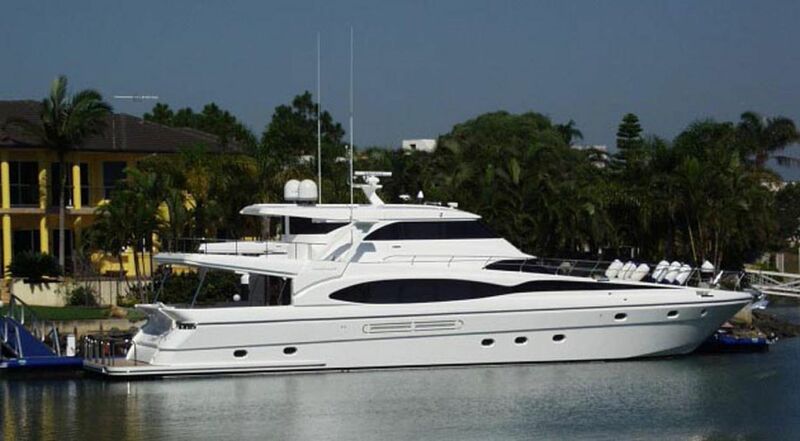 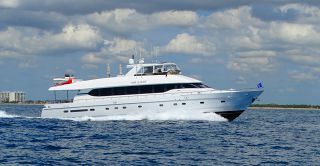 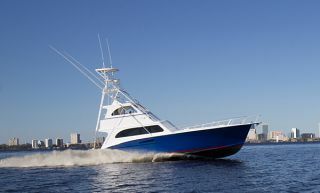 She is aggressively priced and the owner will consider trading her for a larger motoryacht. 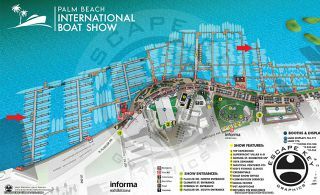 Contact Dana Cambon dana@lukebrown.com 954-401-1926.